Rachel Dolezal, the now-resigned NAACP Spokane chapter leader who is accused of pretending to be black, broke her silence Tuesday morning in an interview with Matt Lauer. 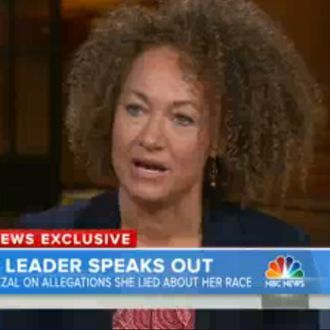 In the ten-minute-long segment, Dolezal claims that though she is technically Caucasian, she’s identified as black since she was about 5 years old. She also breaks out the big T word — transracial — saying that when she was doing human rights work in North Idaho, she first identified as transracial but local news began reporting on her as biracial and then black, and she just never bothered to correct them.